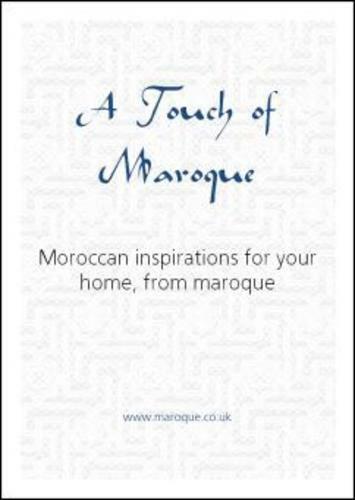 Maroque is delighted to announce the arrival of its free interiors booklet, A Touch of Maroque. 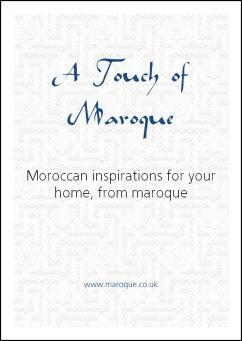 Packed full of Moroccan inspiration for your home in an easily downloadable format, it is available online for free. The iconic images of Morocco, with terracotta walls, warming shades of cinnamon and amber with intricate patterns of light, are only one facet of this country's fascinating interiors. Billowing white curtains catching the fleeting breeze, palest ivory coloured walls, startling azure blues, leafy hidden courtyards and retreats with stunning mountain views are as much part of the rich mix of Moroccan design.